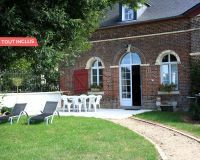 Warm brick house suitable for children and close to Honfleur. 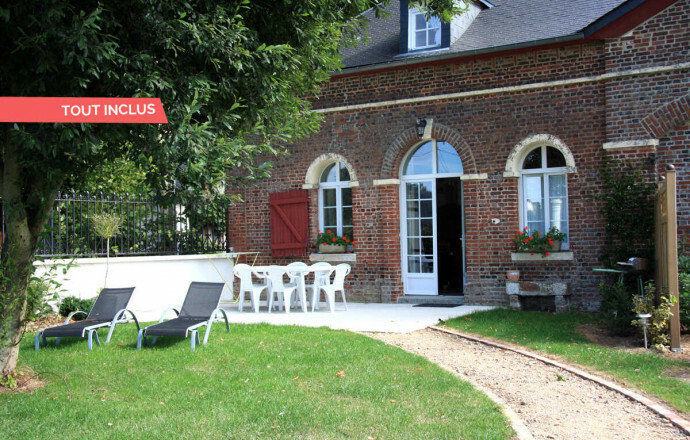 Bright, this cleverly restored gite offers a very modern comfort and equipment. Located in an outbuilding of a little 18th century castle, it offers pleasant volumes and a beautiful fitting of bricks and white stones. Take advantage of a 13 000 m² park, shared with the owners and of the proximity with Honfleur. Adjoining gite n°825. GROUND FLOOR: living-room with kitchen, shower room, toilet. 1ST FLOOR: 3 bedrooms (2 double beds, 2 single beds). Beds are equipped with duvets. Bed linen and towels are provided. Central fuel heating. Microwave. Children outdoor games: slide, swing, tree house.